Tips to loose weight and shed those extra kilos can be difficult if you choose the wrong track and at the same time it can be easy if you follow right thing prescribed by your registered Nutritionist. It’s been more than 5 years I have spend in this field. Every 3rd person i meet has health issues which in a way is connected to high body weight i.e they weigh over their ideal body weight. Problems could Obesity, hypothyroidism, Cardiovascular problems, PCOD ( Polycystic Ovarian Disorder), diabetes, high blood pressure, dyslipidemia etc. Any of the issues you are suffering through will give you relief when you loose few kilos. When you suffer from any health issue your mental state is disturbed and you choose faster ways to loose weight. If is not advisable. Specially, when you are suffering from any health issue and you are on any medications. It looks very fascinating to read columns which states loose weight in a week or in a month;s time. I would like to share my piece of knowledge which will help you to inculcate those habits in your diet and thereby try to maintain your ideal body weight or reach closer to your ideal body weight. Most of people coming for weight-loss are always in hurry to loose weight because they have tried their best ways to change their diet and loose those extra kilos and most of them are unsuccessful. So now they expect some kind of miracle out of the Nutritionist to help them loose weight. We try best to deal with such people as counseling is an important part of our profession. As I go ahead with the dietary recalls of the people who wants to loose weight, I find that the few main culprit of their being obese or over weight is erratic time of meals, no regular meals, large meals at a time, diet high in carbohydrates and the most important lack of physical activity. When all this issues are solved you will find a large impact on your body. If you want to loose weight, start having healthy breakfast (highly recommended). When you don’t fuel your body at the start it will cause you problem throughout. Check benefits of breakfast. Breaking your fast is important as it sends signal to the body to start its metabolism and start at a refreshed mode. So in order to keep your metabolism high have a good breakfast. Have small healthy snacks in between your major meals. Keep Account of the total calories in a day. Do not eat over your daily calorie requirement neither under. So optimum intake has to be taken care of. To loose weight in one month, it becomes more important to cut down on your carbohydrates intake then your fat. So when you check your intake for calories also keep an account of your carbohydrate intake. Carbohydrates are majorly divided into 2 parts simple carbohydrates and complex carbohydrates. In simple term simple carbohydrates lack fiber and raises your blood sugar immediately (i.e it is high glycemic index food) and complex carbohydrates has good amount of fiber which holds sugar to spike up immediately (i.e it is moderate or low Glycemic index food). To know more about glycemic index you can browse on the link http://en.wikipedia.org/wiki/Glycemic_index . Low GI foods are mostly satitous food. They make you feel full for a longer duration. Include these additional tips in your weight loss program and see the results for yourself. Water plays an important part in your weight loss regime. Consumption of water cleanses the toxins from the body in the form of urine. Drink about 4 to 5 liters of water every day. Health Benefits of Green Tea are: It has low calories and starting your day with it instead of tea or coffee is very good tip for weight loss. Drinking a cup of hot green tea every morning on an empty stomach can cleanse the toxins in your body. Rice contains a lot of calories and carbohydrates in it. Reducing the intake of rice can reduce weight to a great extent. A lot of people in India (South Indians) start their day with a dosa or an idly. These dishes are primarily made from rice. Some people also have this for their dinner. If you want to lose weight, it is essential to reduce these carbohydrates intake ta a great extent. Protein is a muscle builder that can effectively reduce the fat in our body. It can also convert the loose fat into muscles. Increase the intake of protein and replace carbohydrates food with protein food. Incorporate oatmeal, lentils, apples, oranges, pears, oat bran, strawberries, nuts, flaxseeds, beans, dried peas, blueberries, psyllium, cucumbers, celery and carrots. You can make several delicious dishes with this combination, so that you don’t have to compromise on taste while losing weight. 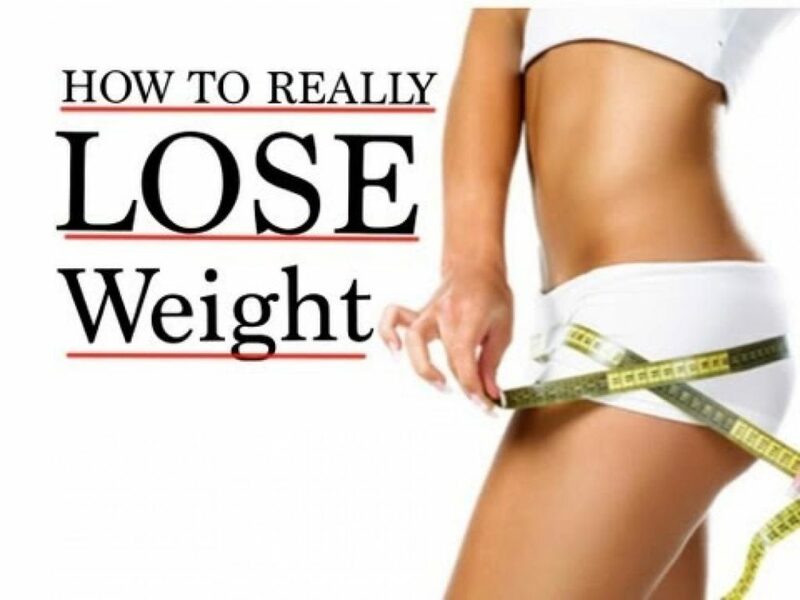 Want to lose weight in 10 days? Avoid junk food completely! Junk foods like pizza, burgers, sausages, etc. do not contain any nutritive value. All they offer is fat and added weight. Junk food is the most common factor for putting on weight. Steer clear of these items. Processed food and fast food are delicious no doubt, it is good to have it once in a while but don’t make it a weekly habit. Junk food can trigger stomach and liver disease due to contamination. Stomach problems will reduce weight, but is that a healthy way to lose weight. 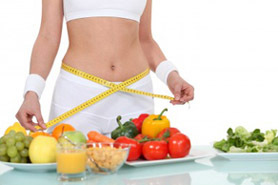 Losing weight should be a planned effort, it is best to follow a scientific approach for balanced weight loss. Add boiled food to your diet and avoid foods that are sweet, rich in fats or fried. Food craving is very common and an uncontrollable factor among obese people. Never consume snacks or food when you have food craving sensation. Instead, drink plenty of water to avoid it. Boiled sprouts are rich in nutrients and have fewer calories. They can be consumed twice a day for brunch or in the evening time 2 hours before dinner. They provide you better nutrients than any other snack. Plus they aid your weight loss. Never consume more than 3 proper meals a day. And most importantly, only the meal for your lunch can be heavy; whereas your breakfast and dinner should always be light. Working out is very important to lose weight and the simple equation to stay fit is: Proper diet + work out =FIT. You need not necessarily hit a gym to work out. You can start it at home with simple exercises like sit ups or skipping for about 10 -15 minutes a day. You can also go for morning or evening walks and jogging. Fruits and vegetables like water melon, cucumber, and papaya have very less calories. They can be consumed for brunch or in the evening as salads as they make you full. These fruits are best suited for weight loss as they have more water and lesser calories. Check your body metabolic index (BMI) and body metabolic rate (BMR). This gives you the amount of calories you should consume and the amount of calories that are burnt in your body – giving you a better clarity of your body system. 16. Avoid the Three White Poisons – Rice, Sugar, Salt. Liquid foods like juices get digested quickly whereas salads stay in your body for about 6 hours, making you feel fuller for long. Consume salads instead of juices but do not add bananas, pineapple, jack fruit or any other calorie rich fruits to your salad. When you skip your meal thinking that you might lose weight, you actually gain weight. This is because the hunger stays in your body and the next time you consume food, you end up consuming twice the quantity. 19. Reduce Your Food Consumption to one third of What You Consume Today. Last but not the least, do not postpone! Some get tempted by food or have no time to start the weight loss program. Remember that it’s now or never. Start your weight loss program and strictly stick to your diet. Let me know how many of you have loose your weight in a month and what new ways you applied to your diet? Hello mam,my son is 5 years old school going student.after 1 or 2 months gape he suffering from stomach problem and loose motion.can you suggest me what type of receipe i made in your daily tiffin,lunch and dinner.and also how i increased his weight.